Redken's NEW Blonde Idol Professional Haircolor Collection‏: Go Blonde &Have More Fun! Without regard for hair color, from the lightest to the darkest, hair lightning is the current trend. 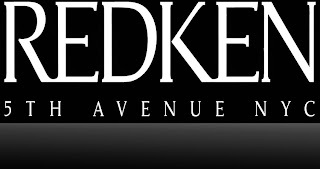 Now, Redken introduces NEW! Blonde Idol Professional Haircolor Collection, which revolutionizes what it means to be blonde and makes highlights accessible to all, no matter your natural hue. The Blonde Idol Professional Haircolor Collection features three new products including eight new Blonde Idol High Lift shades to provide multiple lifting speeds and power, no matter the existing hair type or color. Whether you are a medium brunette looking for rich caramel highlights, a dark blonde in search of a golden blonde ombre or a light blonde looking to enhance pale blonde tones, customizable highlight enhancements are now easier than ever to achieve. Following your Blonde Idol salon service, maintain your beautiful color at home with Redken’s Blonde Idol haircare system for a guaranteed longer-lasting blonde. Why ask your colorist for the NEW! Blonde Idol Professional Haircolor Collection?